Stellenbosch Vineyards, based in the heart of wine country in the Western Cape, is not only a leading producer of wine in South Africa, but is also committed to building the community it works with. Here are five reasons you need to pay them a visit. Did we mention the location? Located on the world famous, and visually spectacular, Stellenbosch Wine Route, Stellenbosch Vineyards is a short drive (around 35 minutes) from the Cape Town City Centre. Situated on Welmoed Farm, it’s a place where you can relax in the lush, green garden area or cool off in the tasting room as you take in the splendour of the Helderberg Mountains, while enjoying a wine tasting or a delicious meal at one of the two restaurants on the farm. Explore Stellenbosch Vineyards’ award-winning wines in their recently refurbished tasting room. At just R30 per person, you get to taste a selection of five wines, with the tasting fee waived with any wine purchase… and trust us, you are going to want to make a purchase. Food platters prepared by the restaurant are also available for pairings with all wines available at cellar door prices. 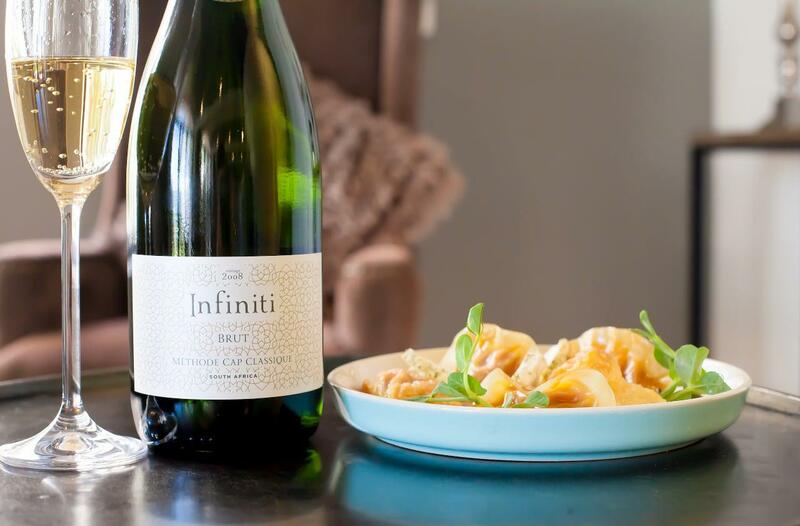 With great wine, one needs great food, and thankfully Stellenbosch Vineyards has both in abundance. We’ve covered the wine, but if you’re looking for something more formal or chilled and laidback, you will not be disappointed. The Bistro is the ‘fine dining option’ on the farm, offering a relaxed atmosphere, with a variety of classic dishes, paired with their large selection of wines. If you’re looking for simpler fare, The Bus Stop is your next, well, stop. 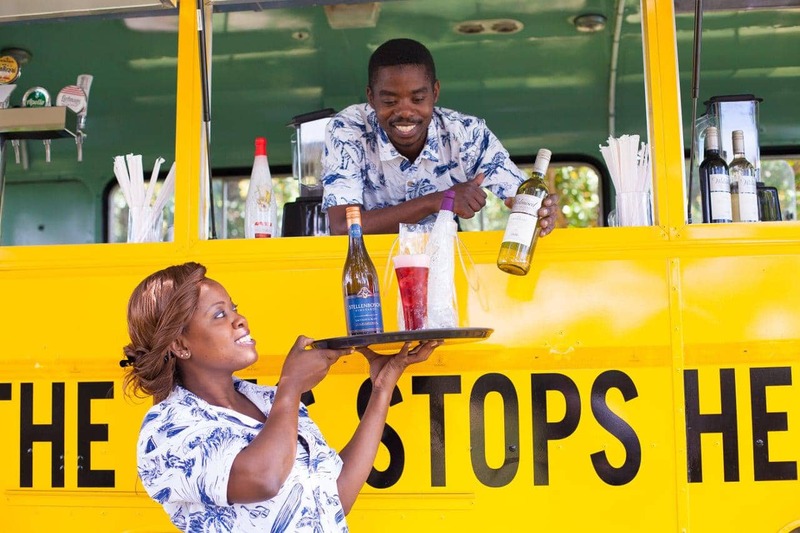 Serving the best wood fired burgers, pizzas and yeast waffles, the yellow bus parked on the lawn is on hand to serve a large selection of drinks – alcoholic and non-alcoholic. It’s a fresh twist on the ‘food truck’, with the eatery situated in the centre of the pond on Welmoed farm. Stellenbosch Vineyards is very active in the community in which it is based and ensures it uses ethical and sustainable practices in its winemaking. The company also encourages the upliftment of neighbouring farms and has played a major role in the establishment of Thandi Wines – the first Fairtrade wine brand worldwide. Today, Thandi is South Africa’s biggest black-owned exporting wine company with approximately 250 farm worker families as shareholders. By supporting Stellenbosch Vineyards, you will be supporting their CSI ventures, including the Enaleni Vineyards – a wine farm that produces Fairtrade-accredited wines of the highest quality.